En complément, 100 autres descentes secondaires sont abordées brievement à la fin des chapitres. 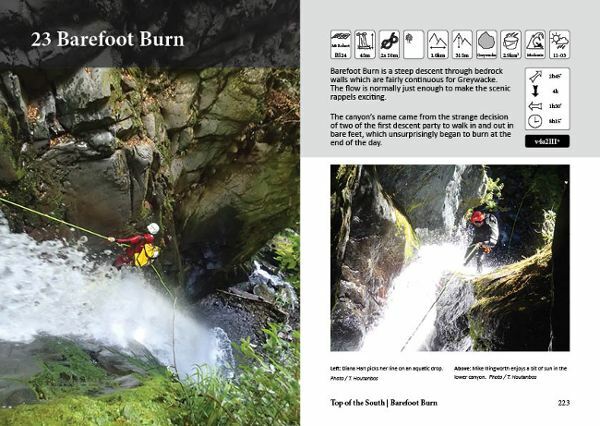 This is the first guide book to New Zealand’s Canyons. 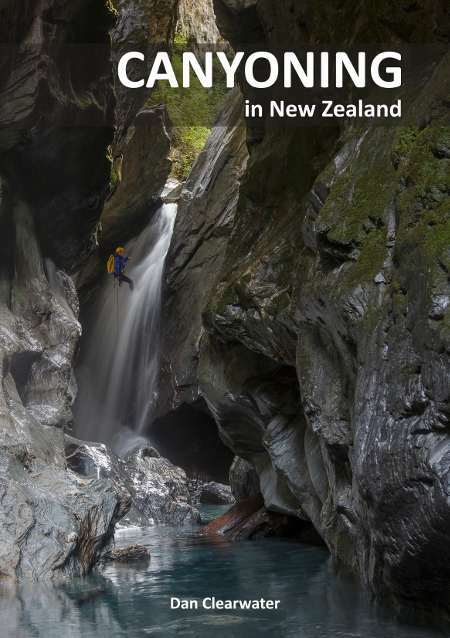 It gives keen kiwi adventurers and experienced visiting canyoners the information they need to discover New Zealands amazing canyons more safely. 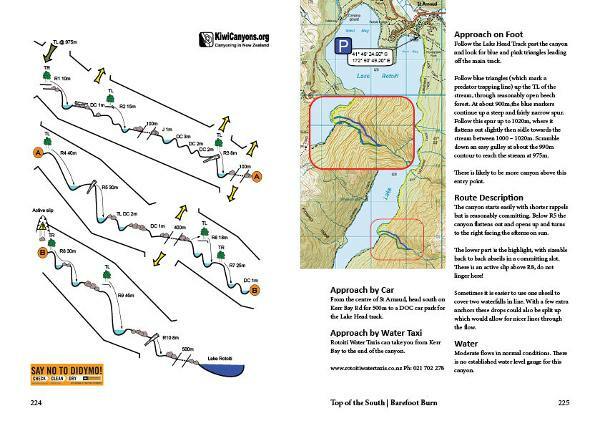 In addition, over 100 canyons are given a brief mention at the end of the chapters. 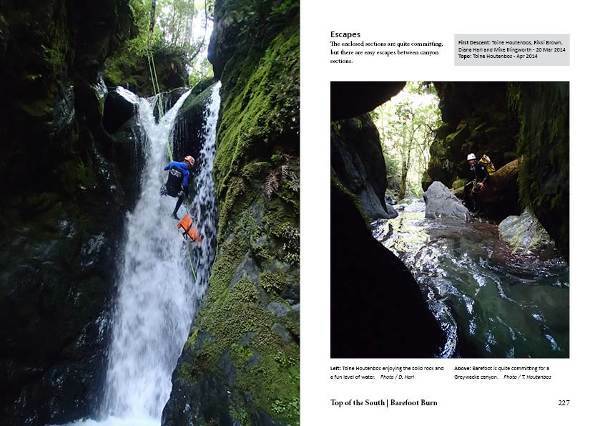 These form a historical record of canyoning in NZ and a start point for the experienced and adventurous to venture into the wildest and most remote canyons.